The Museum Poteau '44 Ardennes is located in a road junction that in 1944 was the scene of an ambush by the German SS against an American panzer column. 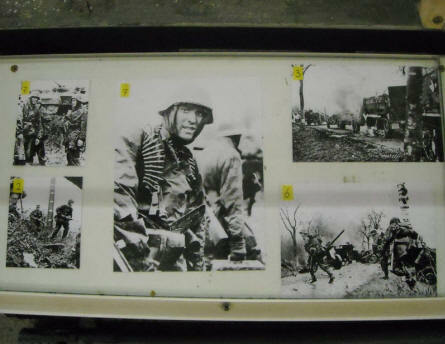 Some of the most famous German World War II pictures were taken during this battle. 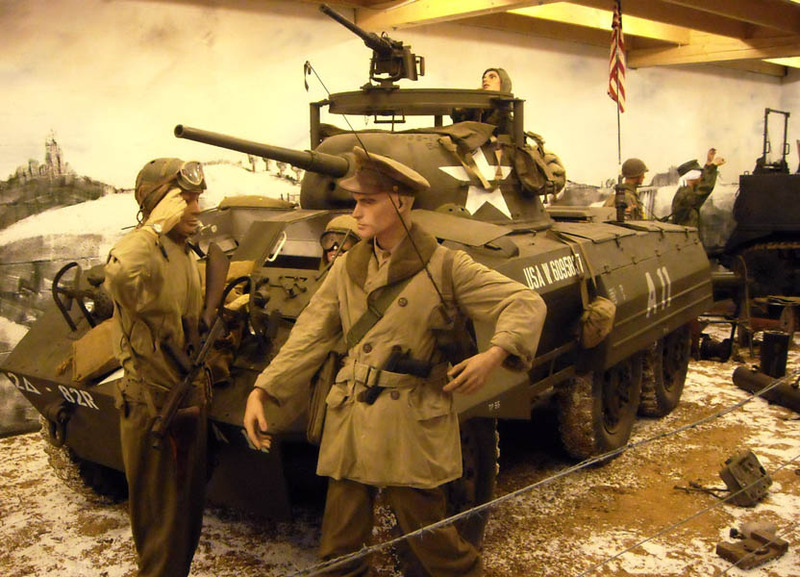 The museum has a nice collection of vehicles, uniforms, weapons and other military equipment used during this battle. 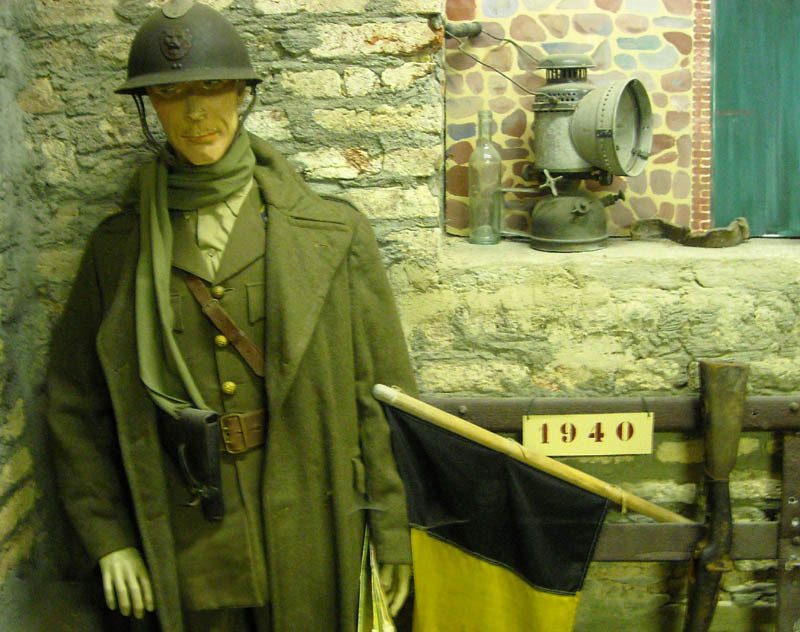 This is one of the places that you must visit to understand the "Battle of the Bulge". 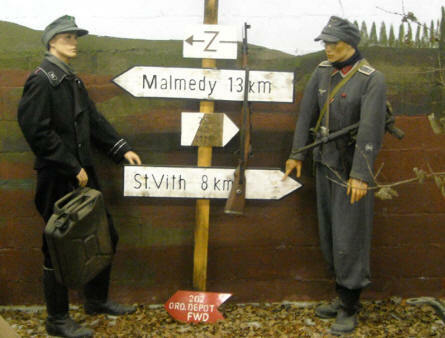 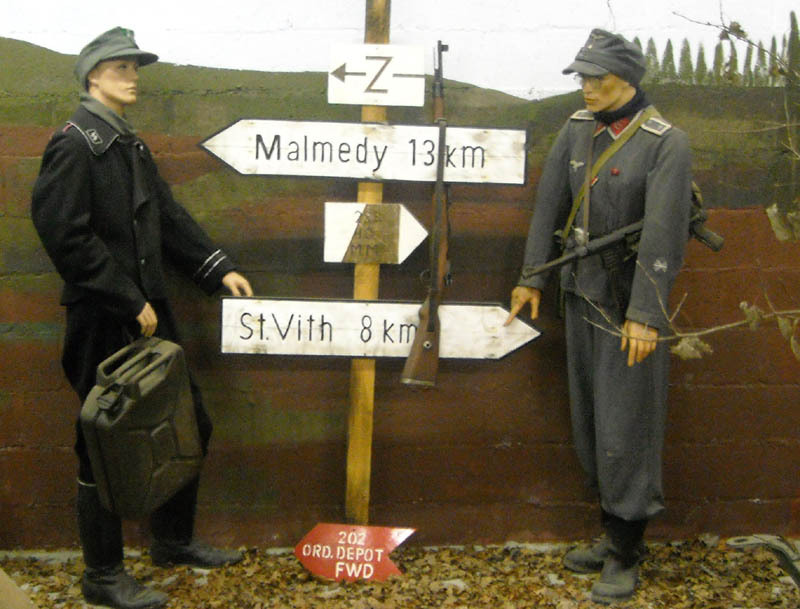 Two German World War II soldiers displayed at Museum Poteau '44 Ardennes. American World War II soldiers in front of a M8 Greyhoud armoured car at Museum Poteau '44 Ardennes. 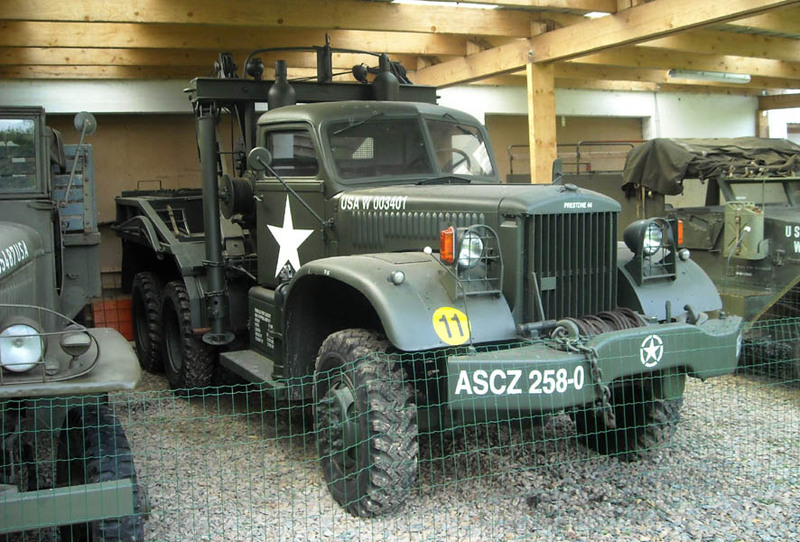 An American World War II 4-ton Diamond T model 969A tow truck displayed at Museum Poteau '44 Ardennes. Some of the famous German World War II pictures shot near the Museum Poteau '44 Ardennes. A Belgium World War II (1940) soldier displayed at the Museum Poteau '44 Ardennes. 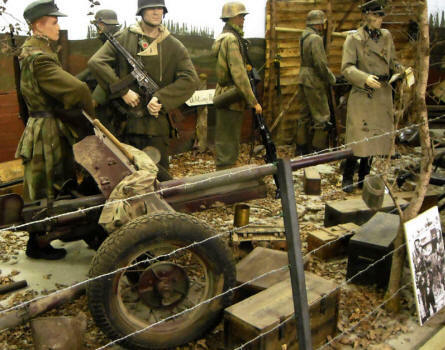 German World War II soldiers and an anti-tank gun displayed at the Museum Poteau '44 Ardennes.